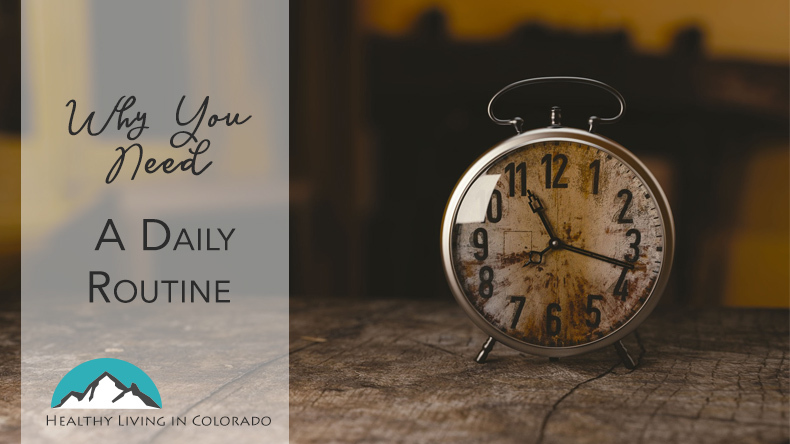 Do you have a daily routine? Here are some tips from expert Brandy Christeson to help you organize your day! Most, if not all of us, count on daily routines to make our lives functional. Everything from our morning commutes to how we wash the dishes can fall into a pattern. Being purposeful about the patterns you create can not only make your life easier, but it can also aid in your mental health. If you are a person who struggles with staying organized and not using time management, then you definitely need to start implementing some routines in your life. These don’t have to be extensive, but they do need to be something that help you set up your life in a way that makes things easier for you. I want to cover some basic routines that you can start implementing today to make your life easier and take better care of your mental health. The first and one of the most essential systems you can put in place is a morning routine. The way we start our morning can have an effect on how we handle interactions for the rest of our day. If something goes wrong before we have even left the house, it can be easy to write off the day as a failure. Then it’s too easy not put any more effort into being positive. The way to avoid starting off on the wrong foot is to have things in place during our morning that make us feel happy and productive. These activities will start as soon as we wake up. Most people start with showering and having breakfast. These are essential, but it is also essential to spend a few minutes reflecting on the tasks ahead so you know what to expect from your day. Having a planner or written calendar can help you plan out your priorities so that you can be more effective in reaching your goals at work and in your personal life. Mornings are also a great time to put in a mental health practice. You can pray, meditate, or connect to something on a higher level that can assist you in facing the challenges of the day. Just as a morning routine can help set you up for a good day, an evening routine can help you wind down so that you can have a good night. It may be tempting to just grab a quick bite of dinner and then fall asleep after a long day. But you are going to benefit a lot more from setting intentions to end your day on a productive note. Make an effort to sit down and have a good meal for dinner. Connecting with family or even your pets can help ground you and help you unwind from a long work day. Unplugging from electronics is another critical factor of evening routines. When you can put the screens away then you not only spend more time appreciating the world around you, but it gives your eyes and brain a chance to rest and can help you fall asleep easier. A lot of people struggle with falling asleep after a long day. There are things you can include in your evening routine that help with sleep. You can have a bedtime tea, read a book, meditate, or journal. They say your house can reflect your mental state, and clutter can cause anxiety. Getting into the habit of picking up your home every day can lead you to a more calm life. Seeing things in order tells your brain that things are fine, and having things organized can cut down on time spent looking for lost items. This doesn’t mean you need to wash your baseboards every day. A cleaning routine can consist of putting laundry away or unloading the dishwasher before bed or in the morning before work. If you spend 30 minutes tidying up every night, then you can wake up to a clean home. When you clean a little every day it cuts back on the deep cleaning. If you stop things from getting super messy to begin with, then you never face the overwhelm that can happen when chores pile up. Your personal care routine can have the most significant impact on your life and your confidence. Making yourself a priority can not only make you feel better, but it can also help you to take care of those around you. It’s the same concept as when you’re on a plane and they tell you to put your own oxygen mask on first before assisting others. Personal care can mean something different to everyone. Some people enjoy days at the spa or a good workout at the gym. Others prefer to go on vacation or take a nap in a hammock. Personal care can be anything that you enjoy doing that makes you feel happy. This can be as easy or as complicated as you like. In fact, most of the daily routines you set for yourself can count a self-care. Maybe you have your favorite brand of coffee every morning. You might read your favorite book series every evening. Cleaning can sometimes help people calm down after a stressful day. All of these things count as self-care if they make you happy and your life better. Essential oils are an incredible option to implement into your personal care. You can use them in your skincare, your cleaning routine, or even diffusing them before bed to help you fall asleep. There are so many options to choose from so everyone can find something that works for them. There are plenty of ways we can have routines in our day. These routines help us function more productively. Making our lives easier benefits our mental health as well. The fewer complications and stress we face, the happier we tend to be. Are there any daily routines that you follow that make your life better? Leave a comment below and let us know! You may also enjoy this article on Kitchen Organization. Brandy Christeson is a 20 something mom to 2 girls. She runs a mental health and self-care blog for moms over at Out Of Her Mind Mom. Her goal is to help other moms who have also gone through postpartum mental health struggles. Check out her blog and connect with her on Facebook and Instagram!